Unfortunately waffle.io is closing down and sending us to GitHub Projects. I’m opening this topic to get suggestions for tools and discuss them here. I’d go with pivotal tracker (its also free for open source) and i think the best for the community would be to use Github Projects. What do you think? Can every Pivotal Tracker card be a GitHub issue like with Waffle? I cannot tell easily from looking at the integration docs. Re: GitHub Projects as the solution: I think that we need to look into whether GitHub Milestones work well as epics. Waffle suggest migrating to them. But Project Boards have a more limited feature set from what I can tell. ZenHub seems to have the closest mentality/feature set to Waffle. ZenHub is agile project management within GitHub. Add powerful tracking, planning and reporting features to GitHub! The above are surface level observations. I will find some time to dig deeper into our options and respond with more thorough input. P.S. I have used Pivotal, Jira, Taiga, DoneDone, Asana, Basecamp, Trello and spreadsheet workflows to track progress on dev projects. I personally like limited feature set and less tools instead of more. If i could convince you and the other current project managers i’d prefer to go with GitHub instead of working with new tools. If there are no strong objections against it. I’ll share this post and try to get some more feedback. Nice discussion here. First of all, please don’t ever go back to pivotalTracker. I have used ZenHub, but the paid version, and it was pretty awesome. I have heard that the free version may have some issues, but I don’t have any experience currently. Jira, is a nice tool, but I think that it should be a paid version with more features, else it is not something special. ability to link cards and pull requests. I will dig deeper also in zenhub and openproject to see which one will deliver these features. In my opinion pivotaltracker established itself to work for the core-team, they are used to using it and it is an okay tool that does what its supposed to do. But I’d like to join @MartinG on his objection, to introduce pivotaltracker as management tool for other teams within aeternity, as I also think there are better tools out there. Depending on team size GitHub issues may be sufficient, like as we are using them in the elixir-sdk development for now, but it lacks features to complement an agile/scrum development process. Probably every team should have the freedom to choose the tool of their liking. Yes, usually i’m totally pro for tool of their liking but i’m thinking about a bit more streamlined and standardised way for the aeternity community so its easier to find the resources they are interested in (example backlog, ongoing tasks, epics etc.). Isn’t Zenhub more or less what Waffle is [an expanded UI layer on top of GitHub issues]? I would prefer an approach like this (vs an entirely new tool OR adapting GitHub projects). We could also use Github projects with Milestones = Epics. It’s just more limited this way, but also workable. First choice (based on the info I have right now): Zenhub. 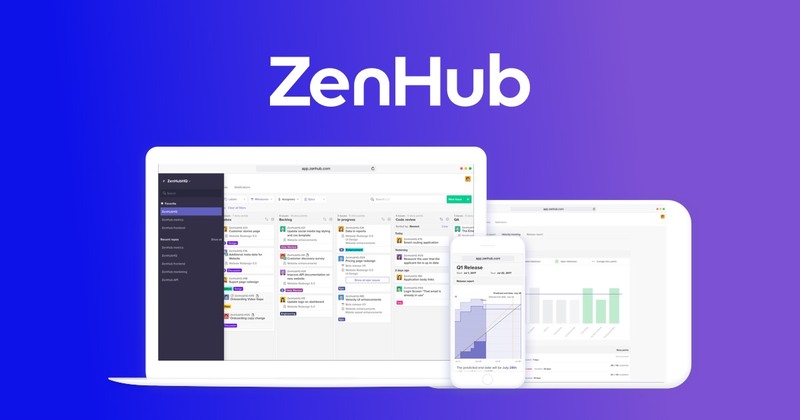 Zenhub is kind of “closed” i’d like to be as open and inviting as possible for other people to join without the need of getting familiar with new (project management) tools and the necessity to get invited, create an account etc. How about a quick vote within our currently active team as soon as we have an suggestion and arguments from everyone. What do you mean by “closed”? It’s GitHub issues which are public and open to anyone who has a GitHub account. From what I can tell it’s exactly as open as GitHub and Waffle. Pivotal is more closed in comparison. I completely agree that we should be as open as possible to the community and keep them informed on our progress. Although we are a community driven project, we are currently talking about a task management tool, which is aimed first at serving the needs of the delivery team behind the project. We’re sharing frequent status reports after each Sprint on the forum and we have public github repos where whoever is interested can see what we’re currently working on and the status of every issue. Zenhub is actually connected with github, where the community would basically see everything they need. Having the above in mind, I don’t think having our task management tool private is not an issue. I will further investigate the openproject tool. Also, something that I have forgot to mention as a need is the ability to combine two or more repositories in one board, for the dev-suite this is a must. Regarding using PivotalTracker for CoreDev - it was already there when I started, so it wasn’t the choice that I made. But I find the tool quite ok. It is quite inflexible, but does the job and gives most of the functionality we need out of the box, so its inflexibility is not really an issue. If there is something much better, we can switch, but there should be strong arguments for this. In the end, the biggest issue is not the tool, but making sure that people use the tool consistently. I would love to go radical or even build our own tool but this might be a to large change for now. I don’t want to disrupt the ongoing development too much. Here are my thoughts on the comparison between the tools that we have discussed here. I can’t recommend Phabricator enough. It’s good for a combination of diverse projects while still being spot on for development projects. Love the idea of building a tool. Other than Jira, most tools aren’t really that great out there… I’d built a tool ANY day! I’m passionate about this subject! Great research Martin! Had a clear in depth look & tested both tools myself, I agree on ALL points.